Leica have been on something of a roll recently with the launch of the Leica Q bringing a whole new generation of photographers in to the Leica fold, and now they have upped the stakes in the mirrorless market with the all new Leica SL (Typ 601). Sporting a 24 Megapixel full frame (35mm size) sensor the SL uses the same design philosophy as the Q by taking the very best available components and combining them in to one camera. The imaging sensor produces files with 6000 x 4000 pixels with a pixel pitch of 6x6 µm and no low-pass filter for maximum sharpness. 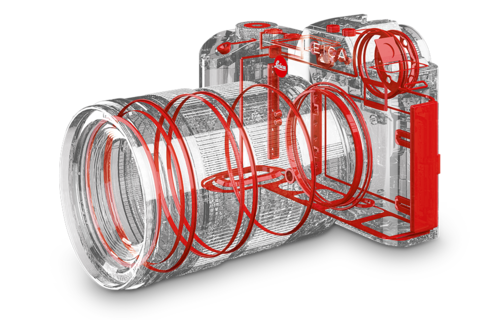 Leica claim impressive dynamic range as a result of specially designed pixel architecture. 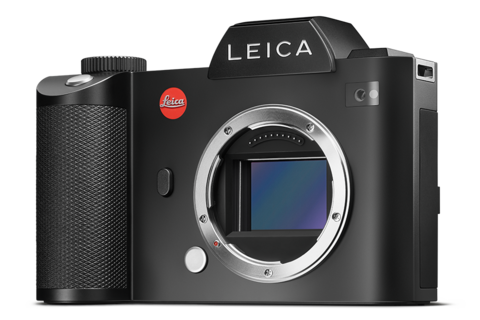 The sensor has also been optimised to work with Leica M lenses as well as new new SL Autofocus lenses launches with the camera. With a chassis milled from a block of solid aluminium the SL instantly feels a quality bit of kit when you hold it and surprisingly is only 847g in weight. The body is also fully weather sealed and the rear screen has a anti-reflection coating and scratch resistant glass bonded to the LCD panel with no gaps - providing an extremely robust unit. 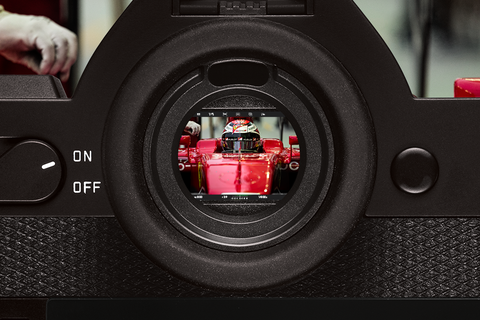 Looking at the EyeRes Electronic Viewfinder this offers a resolution of 4.4 million pixels and offers an outstanding view of the scene to be photographed. Indeed, the viewfinder is more like looking through a medium format camera and allows precise use of focus peaking for precision manual focus as well as previewing in real time any setting changes you make. 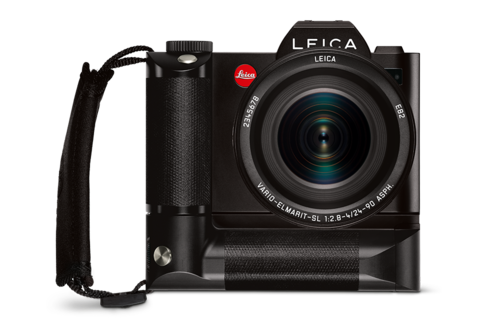 The 24 Megapixel full frame sensor is married to the Leica Image Maestro II Series processor which allows for an outstanding ISO range up to 50,000 and high speed shooting up to 11 frames per second at full resolution. 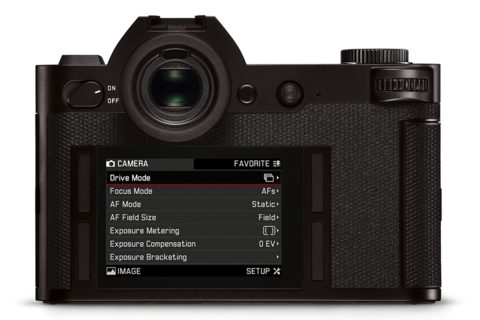 Leica have included what is claimed to be the fastest Autofocus system yet - even faster than DSLRs with 49 AF focussing segments and AF-C and AF-S modes together with the ability to tap on the touch screen to focus precisely where you wish anywhere on the screen. Face-detection is also available as is subject tracking - you can mark a subject with a focus point and focus is then held on the object and follows any movement. In use, the AF system does seem to be instantaneous but being a contrast-detect only system it will be interesting to find out how effective the AF-C mode is on fast moving subjects. Switch the SL to video mode and the displays change to only video relevant information - including safe area, aspect ration, zebra function and recording level. An optional audio adapter allows connection of an external microphone. The SL also includes 4K video capability with HDMI 1.4 Output . Videos can be output in 4:2:2 10-bit format with 4k Cine resolution in combination with a HDMI recorder. Moving on to lenses; the SL will be launched together with the Vario-Elmarit-SL 24-90mm f/2.8-4 ASPH. with a APO-Vario-Elmarit-SL 90-280mm f/2.8-4 ASPH and a Summilux-SL 50mm f/1.4 ASPH to follow at some point next year. These 3-lens are a fantastic collection offering premium optical quality and fast efficient handling. The lens mount is the same as found on the Leica T system and allows use of any T lens - but be aware that when a T lens is attached the format is automatically changed to 10 Megapixel APS-C.
You can also use 48 different Leica M lens via the M-T adapter, 16 S-series lenses via the S-L adapter and 51 R series lenses via the R-L adapter as well as Cine lenses with the Cine adapter. Flash is catered for with the SF 64 flash with a 64 Guide number and the SF 40 flash with a 40 guide number if you want a more compact unit. The SL will have other accessories available including a rear screen protection foil, BP-SCL4 replacement battery and the AA-SCL4 Audio adapter. The HG-SCL4 handgrip with optional hand strap S provides an additional shutter release, joystick control for AF and a second battery compartment - available spring 2016. The Leica SL App allows remote control of the camera using your smartphone or tablet as a monitor screen and is supplied with Leica Image Shuttle software for a fast efficient workflow. If you would like to give the SL a try, Park Cameras will have one of only a very few SL's available in the London showroom for you to try in early November - click here to be notified when the camera has arrived in store. First stocks are due to arrive around 16th November but with demand sure to be high we recommend placing a pre-order to secure one of the first available cameras in the UK. 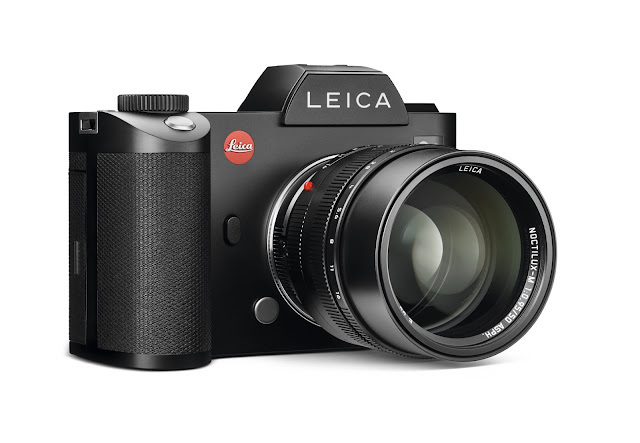 Pre-order the Leica SL from Park Cameras now!